Choosing from among the many medical aid options available in South Africa can be a daunting task. Many schemes offer similar if not identical types of cover, and you’re left to decide between them based on their added benefits. 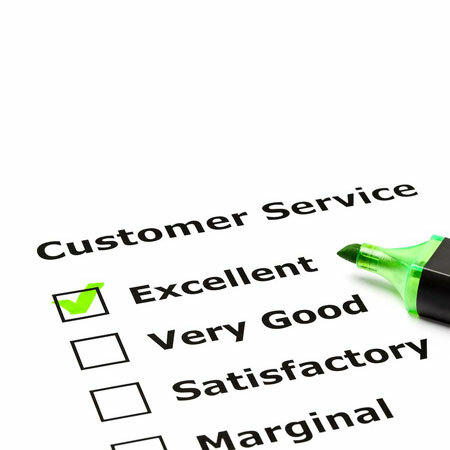 One of the factors that may help you choose a medical aid scheme is its customer service. We’ve identified some of the must customer-friendly medical aid providers across a few different categories according to votes cast on HelloPeter, a website that allows customers to post reviews of services and products, and also allows service and product providers to respond, potentially turning a complaint into a compliment. The compliments ratio is the percentage of reviews given on HelloPeter that were positive. The medical aid industry average for this ratio is 21%. The only provider that has a compliment ratio above that is Bonitas, with 43%. Fedhealth is at number 2 but far behind, with a compliment ratio of 20%. Of course it’s important to note complaints as well as compliments. Bonitas wins again in this category, with a complaints ratio of 57% against an industry average of 79%. Fedhealth is in second position with 80%, again far behind Bonitas. The conversion ratio in this case is the rate at which negative reviews get picked up by the provider and turned into positive experiences for clients. The top three medical aids in this category are Liberty (16%), Fedhealth (14%) and Bonitas (14%), against an industry average for conversions of 9%. Although it’s useful to consider conversion ratios, note that medical aid providers may rank lower in this category if they simply have fewer complaints than others to turn into compliments. For being the medical aid with the most compliments and least complaints, Bonitas tops the list. It’s also worth noting that Bonitas has a pensioner ratio of only 4.2%, which is low in comparison to other leading medical aid providers. The likely result is fewer claims, translating into less pressure on funds and lower annual increases in member contributions. BonComprehensive – The BonComprehensive plan provides comprehensive cover for medical care and chronic conditions. This includes cover for unlimited consultations, major medical expenses at 300% of the scheme rate and medication for 53 chronic conditions. BonEssential – The BonEssential plan includes unlimited hospitalization at 100% of the scheme rate, with chronic medication cover for 26 conditions. Maternity consultations are also included. BonSave – The BonSave plan provides major medical cover at 100% of the scheme’s rate, as well as limited chronic benefits for 26 prescribed minimum benefits(PMBs). Members manage their own savings accounts, making this plan ideal for those who require a hospital plan with savings for day-to-day expenses. Standard – The Standard plan covers medication for 42 chronic conditions, day-to-day benefits for basic and advanced dentistry, optical benefits and maternity care. This plan is suitable for those who need some out-of-hospital cover but unlimited hospitalization benefits. Primary – ThePrimary plan provides unlimited hospital cover and prescribed minimum benefits for 26 chronic conditions. It’s best suited to those who need only a limited amount of day-to-day cover but want a generous hospitalization benefit with any provider. BonCap – The most affordable of Bonitas’ options, BonCap is geared towards those who have an income below R9,300. This plan provides affordable but limited cover within a designated network of providers. Contact us for a no-obligation quote for membership with Bonitas, and join its satisfied beneficiary base.